A chance to play with Annie's paint and decorative techniques and materials. 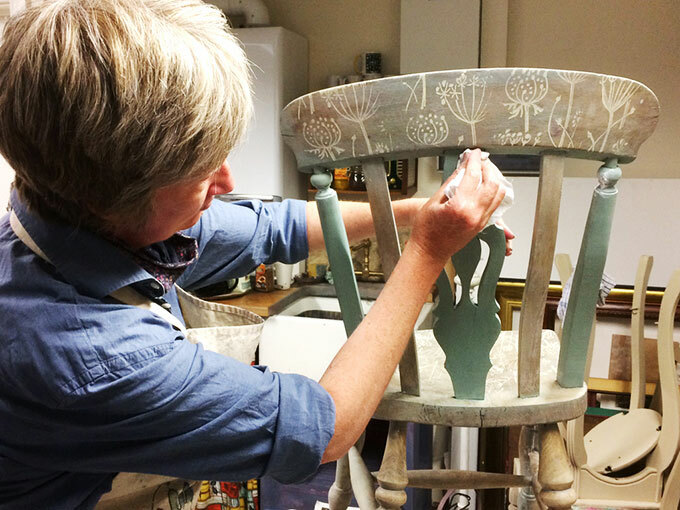 Working on a small piece of furniture, Kerry will show you different examples of painted furniture and discuss styles, colours and techniques through personal and friendly instruction. This will inform you to make the perfect choice for your project. The day will be creative, informative and fun. Please bring your own small, light piece of furniture. Cost per workshop: £70 including a £30 deposit on booking. All materials will be supplied apart from your chosen piece. Refreshments & lunch included. For more information please email or phone Delight & Wisdom on 01434 632818.